In 2009, 22-year-old Oscar Grant III was shot and killed by police officers in Oakland, California. His death drew the attention of national and international press regarding police killings of African-Americans, as well as inspired an upcoming filmmaker named Ryan Coogler to create his debut feature. The incident also inspired college student Angie Thomas to write a short story as part of Belhaven University’s creating writing programme. Titled The Hate U Give, the project quickly became a full novel and is now an adaptation by Notorious and Barbershop director George Tillman Jr. The Hate U Give tells the story of teenager Starr Carter (Amandla Stenberg), who lives in an all-black community but goes to a predominately white school. One night, she reconnects with childhood friend Khalil (Algee Smith), who drives her home from a party. However, a white police officer pulls the car over and mistakes Khalil as armed, gunning him down in front of Starr. The film explores how she struggles in the aftermath of her friend’s death, while her community demands justice. While Angie Thomas’ book is a young adult novel, the themes in The Hate U Give are anything but adolescent. There are no conflicted love triangles or supernatural incidents in Tillman Jr.’s film – instead, it focuses on Starr’s inner struggle. She has to suppress her black identity to ‘appease’ her white classmates but feels uncomfortable relating to her African-American peers. So when the incident takes place, this social balance breaks down as she struggles to find her place and with her inability to stand up for herself. 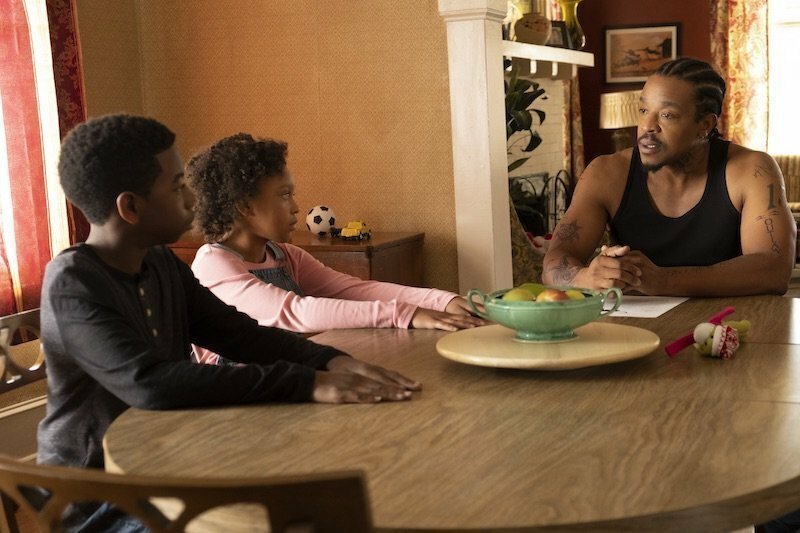 Media misrepresentation of Khalil only feeds Starr’s frustration, as she has to reiterate that his death didn’t occur because he was as a bad person due to his connection to local drug lord King (Anthony Mackie). Instead, she feels it was because he was judged due to his race. This forces her to re-evaluate her own identity and ask herself whether her skin colour makes her a threat among her white schoolmates. The situation is exacerbated by her ‘best friend’ Hailey (Sabrina Carpenter) but softened by her boyfriend Chris (KJ Apa), which subtly deals with the topic of interracial relationships. Stenberg delivers a powerful performance as Starr. Since her supporting role as Rue in The Hunger Games, she blossoms from a ‘lost’ girl to a determined young woman with the confidence and voice to stand up for herself and her community. In fact, Stenberg’s performance easily outshines most of the supporting cast, which includes Regina Hall, Russell Hornsby and Common, who plays Starr’s policeman uncle and offers a different perspective on Khalil’s death. The emotionally charged screenplay by the late Audrey Wells lets Starr shine as intended, and Tillman Jr.’s balanced narrative celebrates aspects of black culture such as the importance of local communities and the significance of the Black Panther Party – making sure that African-Americans are in the limelight. With a strong lead performance by Stenberg, The Hate U Give is poignant, significant and incredibly relevant. Look past the ‘young adult adaptation’ label: it is not just about equality but finding your own identity – and owning it. The Hate U Give is out in UK cinemas on 22 October 2018.